Cityscape elaborates on the methods Snow used in the making of his ground-breaking 360-degree film La Région Centrale (1971). Taking the advice of his long-time friend, Graeme Ferguson, to produce it as an Imax film, Snow orchestrates new patterns of movement that exchanges the focus on landscape in La Région Centrale with the cityscape of Toronto. 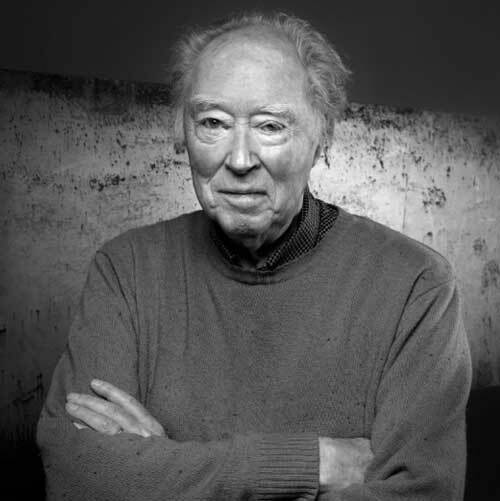 Michael Snow was born in Toronto on December 10th 1928. He has been active as a visual artist and as a musician since 1948. His paintings, sculpture, films, videos, photoworks, holograms and sound installations have been exhibited at, and are in the collections of the Museum of Modern Art (New York), The Centre Pompidou (Paris), the Tate (London), The Philadelphia Museum of Art, The National Gallery of Canada (Ottawa), the Montreal Museum of Fine Arts, the Art Gallery of Ontario (Toronto) and many others. He has made many public sculptures such as Flight Stop (1979) at Eaton Centre, The Audience (1989) at Roger's Centre and Lightline (2016) at the St. Regis Building, both in Toronto. His films have been presented at festivals in Australia, Brazil, Canada, Finland, France, Germany, Korea, Italy, Japan, Netherlands, Turkey, United Kingdom and USA, and are in the collections of several film archives, including Anthology Film Archives in New York City, the Royal Belgian Film Archives, Brussels, and the Oesterreichisches Film Museum, Vienna. In 2018, he premiered a composition for the Winnipeg Symphony Orchestra, presented a sound-work based exhibition at Culturegest in Lisbon and installed an exhibition of sculpture at the Bilbao Guggenheim.